I am quite surprised at all the lovely features I have been in lately! 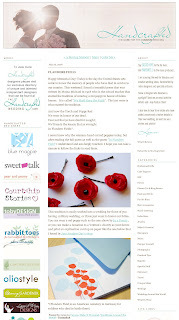 It is so nice of you all to include my products in your posts! (especially since my shop has been a bit dry lately!) 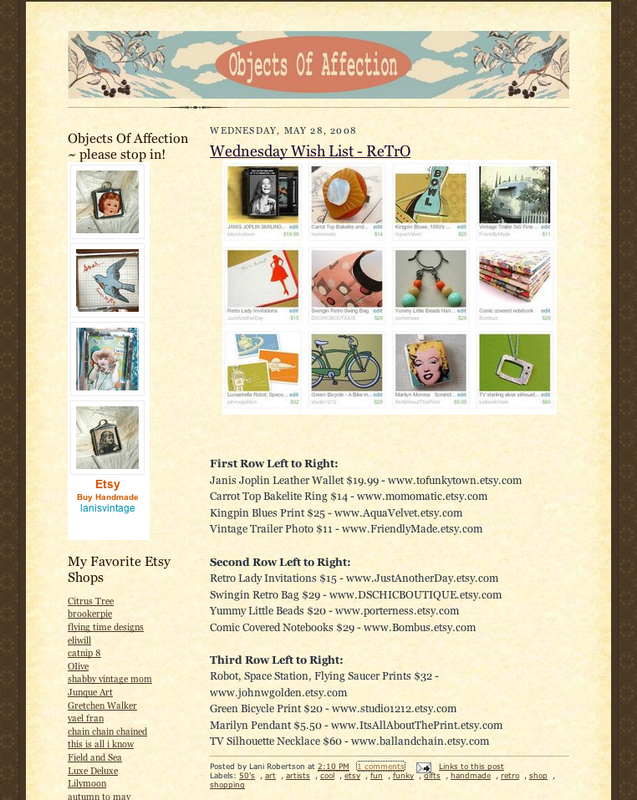 Lani, of Objects of Affection, featured my retro lady invitations in her Wednesday Wishlist. Lani is also a seller on etsy and you can find her shop lanisvintage right here. Retro Lady invitations can be found in my etsy shop! "Today is the day the United States sets aside to honor the memory of people who have died in service to our country. This weekend I heard a beautiful poem that was written by Moina Michael in 1918 who is the school teacher that started the tradition of wearing a red poppy in honor of fallen heroes. It is called "We Shall Keep the Faith" . The last verse is what started the tradition. I never knew that people handed out red poppies in honor of fallen heroes, but it now gives poppies a bit of a new meaning for me! So you have a business eh? For a while now, I have been really thinking about my product and where I want to take this small business of mine. I have some lofty goals to achieve and I sometimes get a little lost along the way. 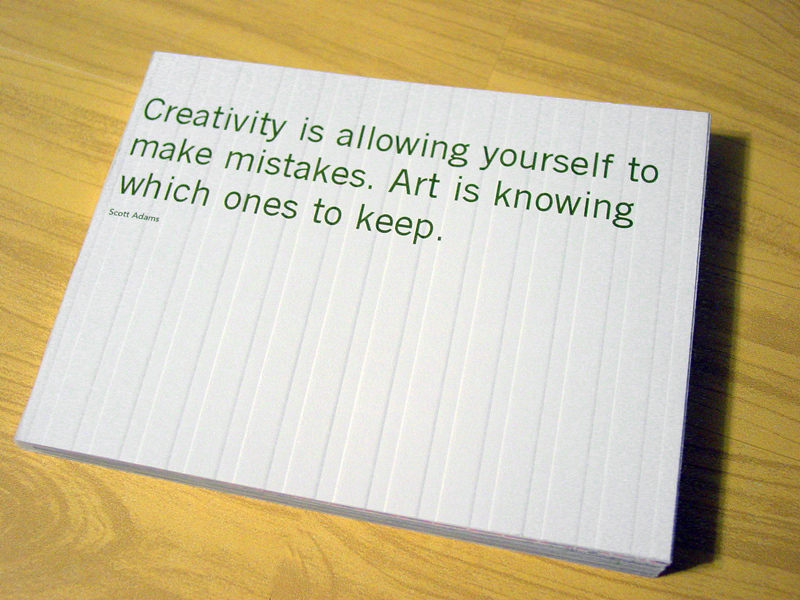 But today, I stumbled upon an nice little reminder from a favorite blogger of mine, Erin of Design for Mankind. She wrote a great post on creating business plans and if you are like me, you need things laid out in a simple fashion so you can take it your own direction. I really suggest anyone with an unclear view of the future sit down, take some time, and hash out a fabulous business plan of your own! Image above is an ooak recycled notebook from my shop! 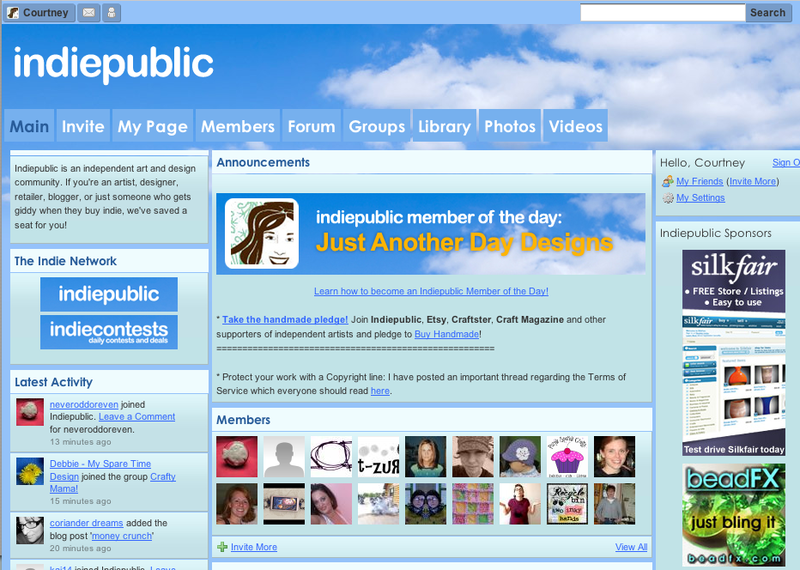 If you are on indiepublic, I would love to have you as a friend! Here is my page! 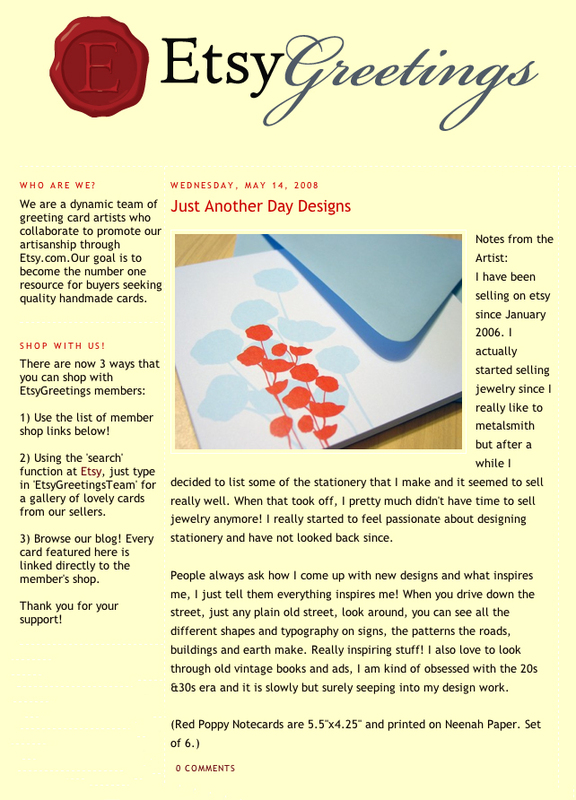 On Wednesday I was the featured artist on the Etsy Greetings Blog. 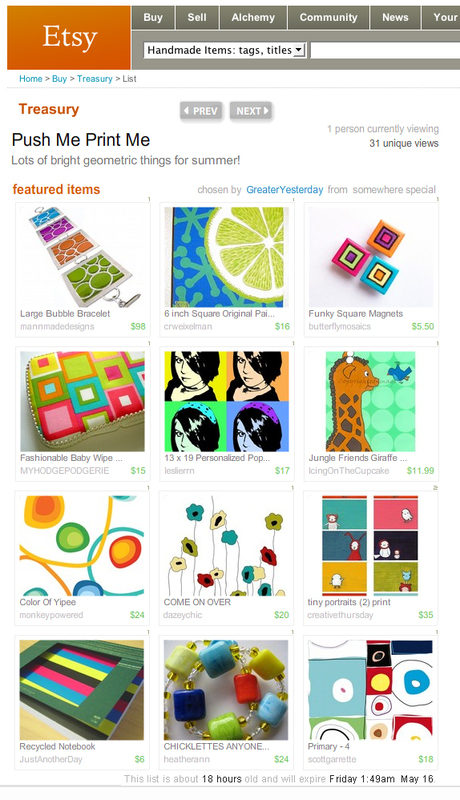 My little notebook made it in to one colorful treasury! Hopefully it will be front page worthy! The paper on the inside of the notebook is paper that was in my very large recycle bin. I took the paper and folded it in half so that the image (what was previously printed on it) was on the inside and the cut all the paper to size and bound it on the sides that were loose. This technique is called japanese folding. I really like the effect you get with the hint of color showing through the top of the book! Each notebook will be a OOAK (one of a kind) since all the papers are recycled! 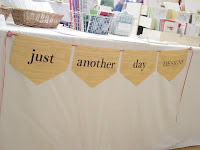 In the last three weeks I did two craft shows. 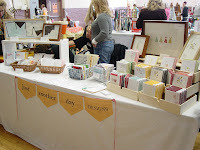 The first one was Craftstravaganza and I am sorry to say that it was SO COLD when it was time to pack up I just started filling my boxes as fast as possible and didn't get any pictures! But at my second show, Crafted Together, I had the same set up and I made sure to get pictures before the show even started. Both shows made out pretty well but I wished I had done better. Doesn't everyone?! 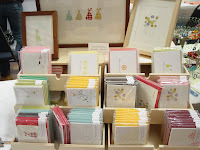 I love all the wonderful comments I receive about my stationery, it really brightens my day! 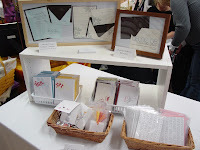 I also debuted my wedding line at both shows and the invitations were really well received! I gave out lots of business cards to people who were getting married or had a good friend that was getting married. Lets hope I get some emails soon!